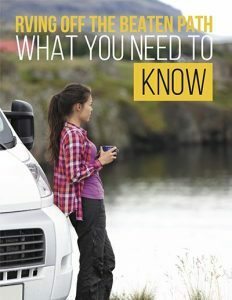 Are you on the Paleo Diet and are scared that camping will derail your efforts? Have no fear! 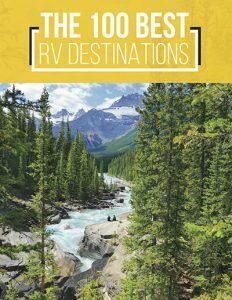 Check out the following 7 simple Paleo camping recipes to help you stick to your diet. Cut the onions at both ends and then in half. Peel the onion and set the matching pieces aside. Mix all the other ingredients, except for the tomato sauce, in a large bowl. 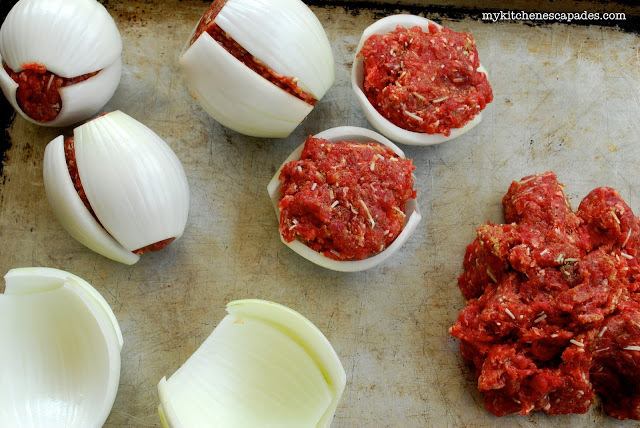 Fill the onions with the meat mixture. Press the matching sides of the onion together. Wrap them in foil two times and set aside. Place foil wrapped onions in coals and cook for 15 minutes. Flip them over and cook for 15 more minutes. Remove from coals and serve with tomato sauce. If you will be using wooden skewers, soak them in cold water for about 30 minutes beforehand. Place all ingredients (except apple wedges and bacon) in a large bowl. Mix thoroughly..
Wrap the bacon slices completely around the meatballs. Cut each apple wedge in half. 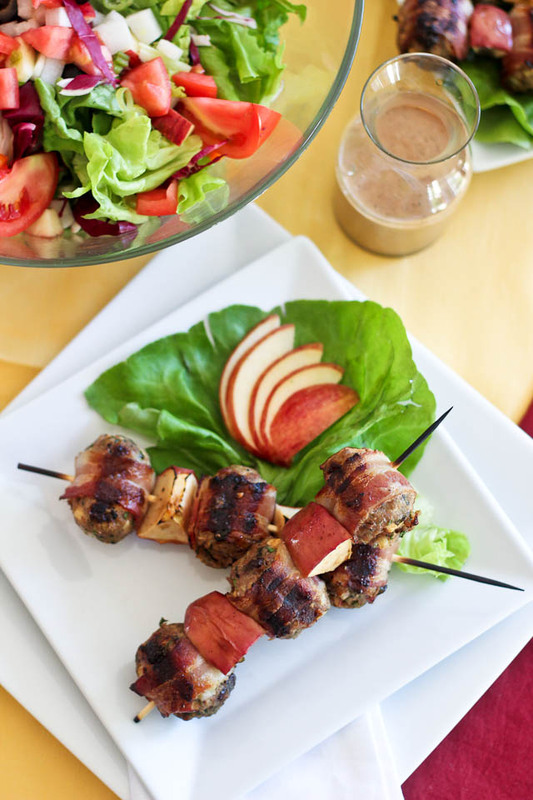 Thread 2 apples and 3 meatballs on each skewer. Skewer the meatballs where the bacon overlaps. Place kebabs on the grill and cook for about 3 minutes each side. Take 4 (20 inch) sheets of foil. Fold in half and drizzle oil in the center of each sheet. Add fish and season with pepper and salt. Combine olives, tomatoes, capers, thyme, and garlic in small bowl. Top each fish fillet with tomato mixture and drizzle with the rest of the oil. Close the packet and seal the edges tightly. Place packets on the grill and cook for about twenty minutes. Combine bell pepper, zucchini, olive oil, tomato, salt, and black pepper in a bowl. Set aside. Spray foil (2 large 20 inch sheets for each fillet) with cooking spray. 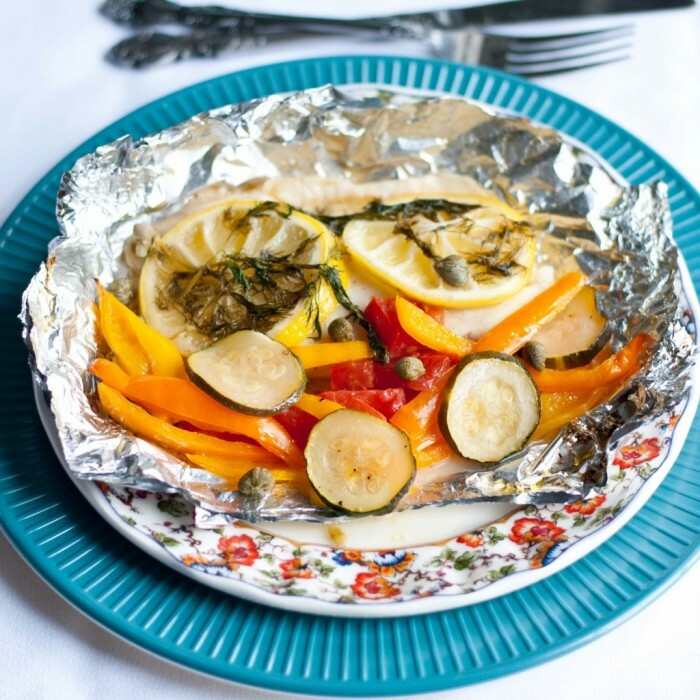 Place a fish fillet on the foil and sprinkle, to taste, with salt and pepper. Top fillet with 2 slices of lemon, and a couple of sprigs of dill. Place ¼ of the vegetable mixture and capers beside fish. Seal packet tightly. Place on grill, cover, and cook for about 15 minutes. Cut the onion into about 8 wedges but, stop about a 1/2 away from the bottom so that the onion remains intact. 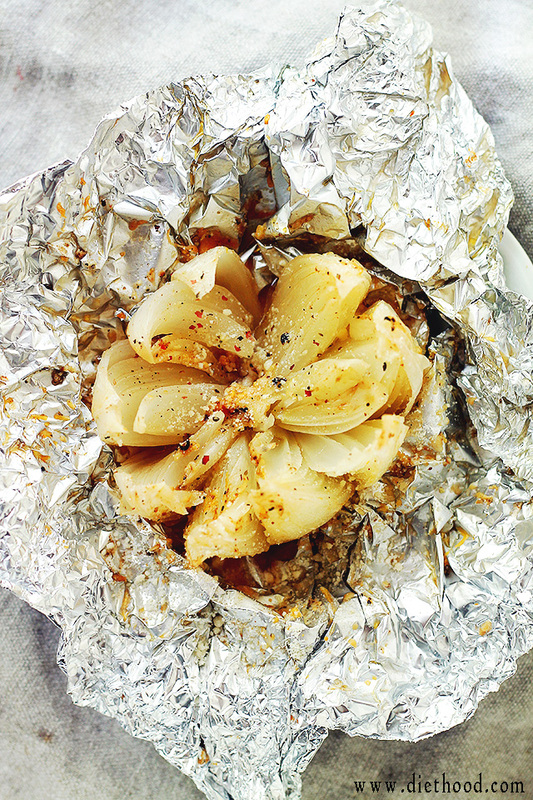 Place onion on a medium piece of foil and slowly pull the wedges apart. Drizzle olive oil on the onion and season with salt and pepper. Drizzle the whole onion with your preferred sauce. Wrap tightly and place on grill for about 30 minutes. Remove from grill and serve. Take two large pieces of foil and fold in half. Add appropriate amount of squash, shallot, zucchini, and garlic to foil. 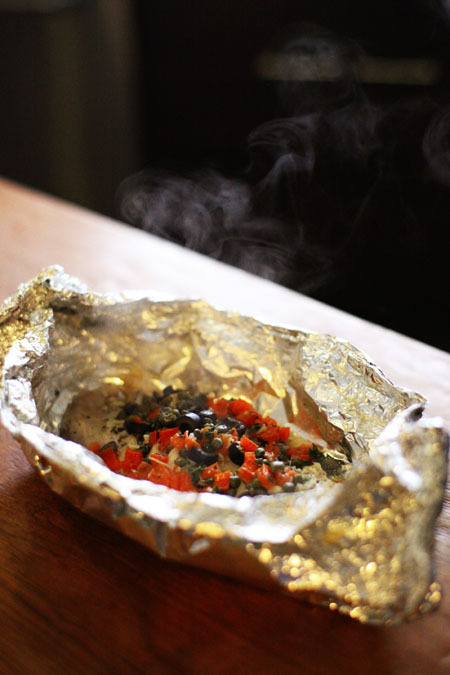 Fold sides of foil to create a bowl. Add ½ tables of lime zest, ¼ cup of coconut mile, and 1 ½ tablespoon of oil to each packet. Add salt and pepper. Mix with your hands. Cut fish in half and place on top of the vegetables. Season with salt and pepper. Place packets on a baking sheet right side up. Place on the grill. Cook for about 9 minutes and flip. Cook for 9 more minutes. Flip packet right side up and remove from baking sheet. Open packet and top with cilantro. Serve hot. Heat coals or preheat the grill. 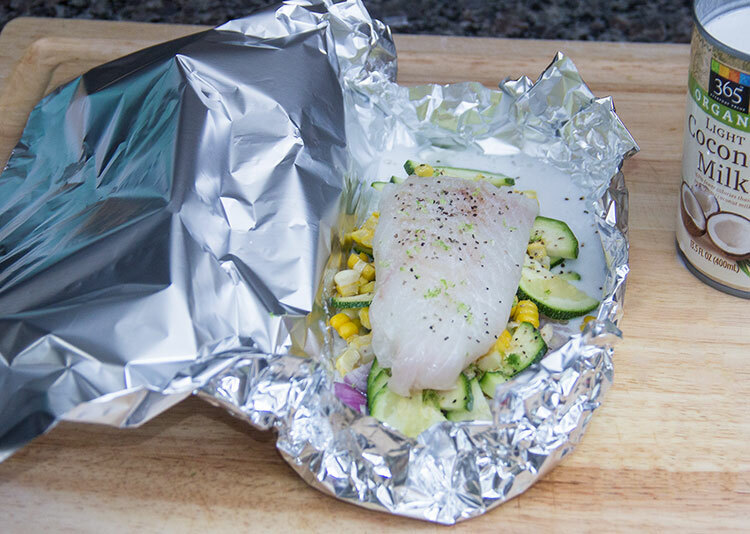 Light coat a large piece of heavy duty aluminum foil with olive oil. Season both side of steak with salt and pepper. 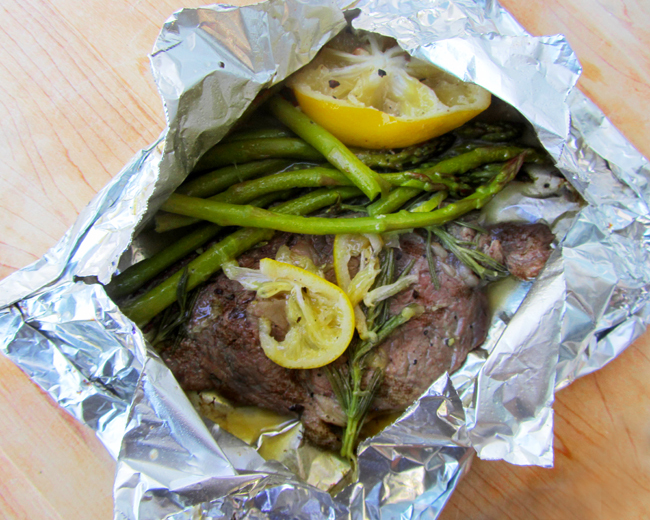 Place steak in the middle of foil. Add lemon, thyme, and rosemary. Place your veggie of choice next to the steak. Place on grill and cook for about 9 minutes, flipping halfway through. Remove from heat and let stand for a couple of minutes. These delicious recipes will ensure that you won’t have to cheat on your diet. Happy Cooking!